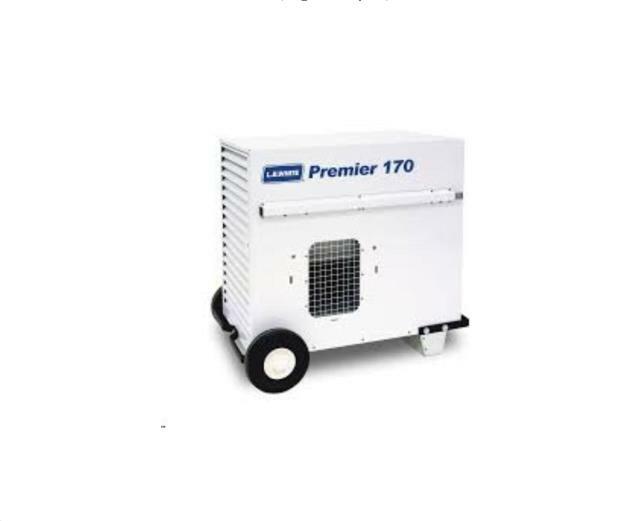 From elegant weddings to company parties, the Premiers� clean look, quiet operation and high efficiency make it the ideal solution for all reception tent heating applications. Premier heaters can be used to provide heat or simple air circulation. The heater can be used inside, or the heat can be ducted in from the outside. Select from LP, NG or easy-to-switch dual fuel models. L.B. White has perfected every aspect of our Premier tent heaters design to withstand extreme outdoor environments. This has led to our reputation for reliability, durability and serviceability in the field. When the comfort and safety of your guests is at stake� you want the leader in Tent heating on the job� L.B White. L.B. White�s Premier series of ductable direct-fired heaters are perfect for small, hard to reach areas, as well as large construction applications that require directed heat. And the Premier 350 DF with its dual fuel capability offers even greater flexibility and efficiency. All our Premier unit heaters arrive ready to use and are extremely easy to operate. Plus, the Premier�s compact thermostat provides easy, effective temperature management and the advanced Service Saver feature makes maintenance a breeze. Dimensions (L x W x H)	31? x 18? x 28? * Please call us for any questions on our propane htr 170kbtu lbw rentals in Whistler BC, serving Squamish, Pemberton and the Sea-to-Sky Corridor.